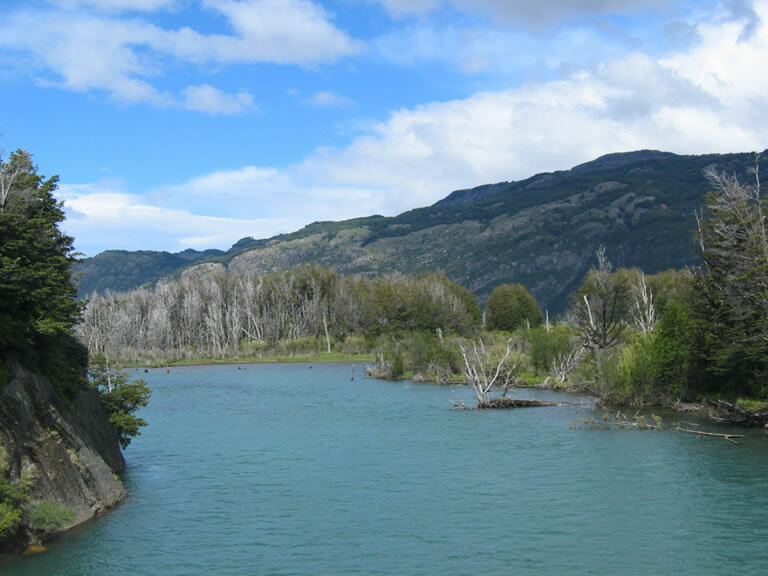 Having got lots of pointers from the hostal, we popped back into Coyhaique the next morning to stock up on food for the next few days and get some Argentinian money. 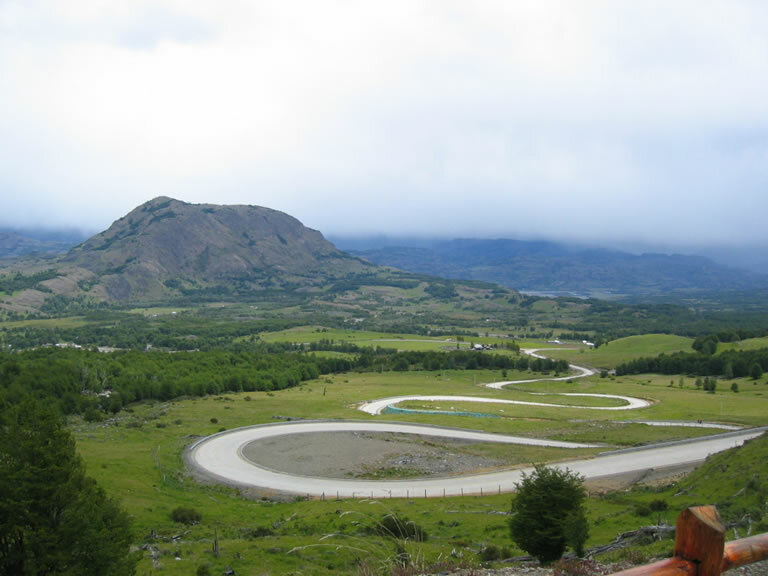 We then got back on the Carretera Austral to continue the drive further south. 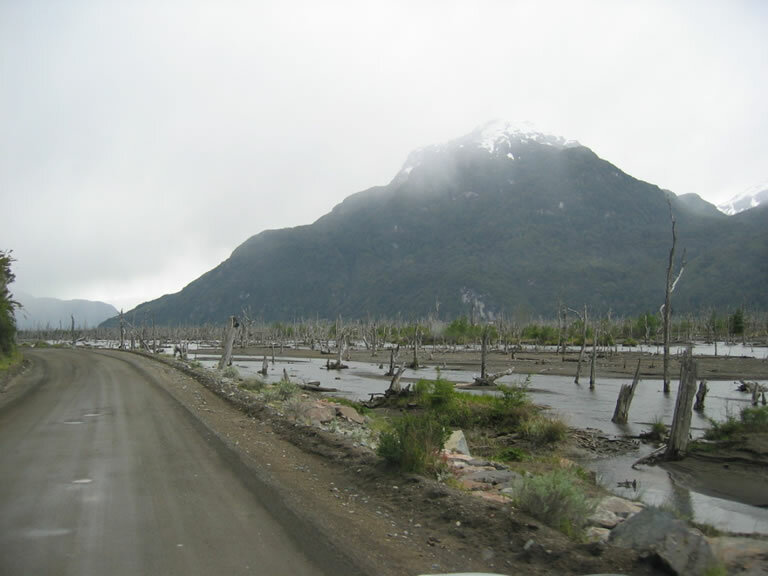 The road was a fairly good paved road until about 100km or so south of Coyhaique when it turned back to gravel the rest of the way to Puerto Rio Tranquilo. 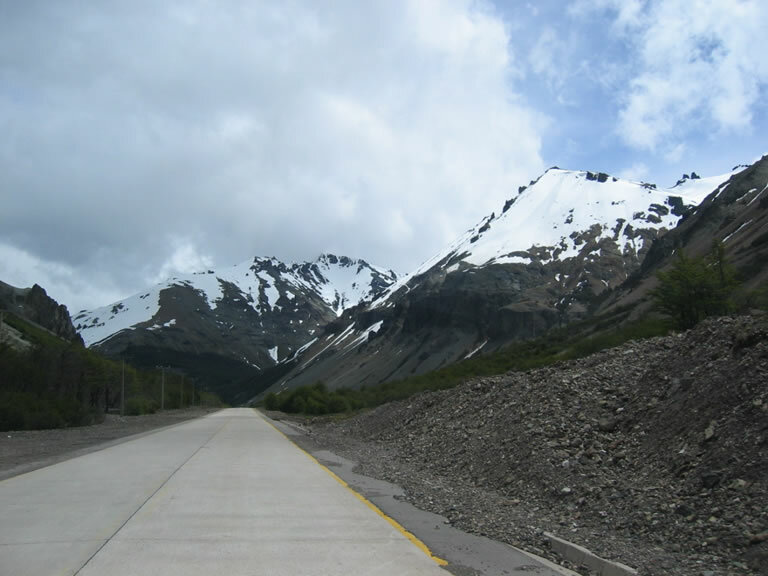 There was more snow on the mountains and various waterfalls continued to spill from their steep sides. 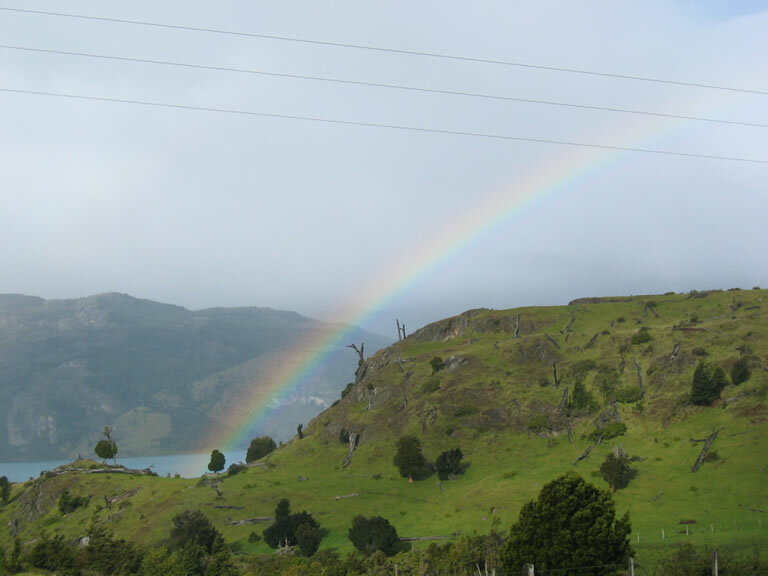 You could also catch sight of the odd hanging glacier. From Puerto Rio Tranquilo we had great views of Lago General Carrera. The lake is supposed to be a fantastic bright blue colour, but as it was overcast the brightness wasn't quite there! It was not easy finding a wild camp spot for the night along the road around the lake - there was a steep drop down one side and nowhere really suitable away from the road on the other. Eventually we just pulled off where there was a large flat area and pitched up there for the night.